October 17-18, from 10a.m.-5p.m. the Edom Festival of Arts will offer a diverse array of art, live music, a free children’s art workshop, and a wide assortment of food. 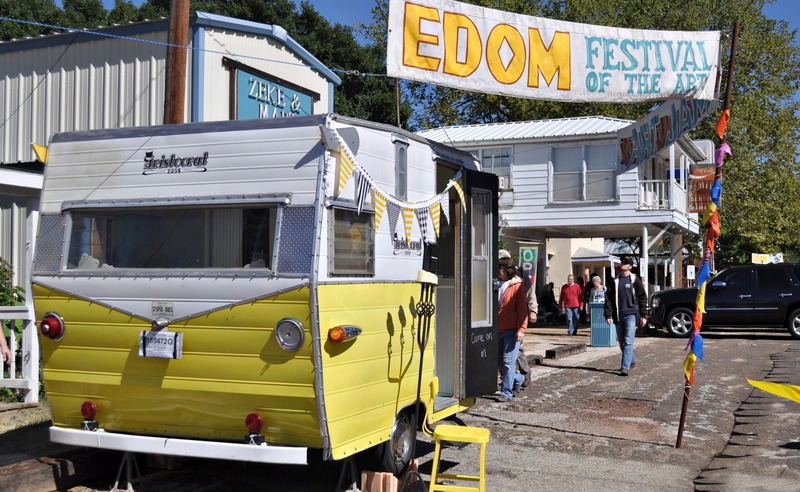 Artists from all over the southwest will showcase and sell their work in Edom, located 15 miles west of Tyler. How did the Edom Festival of the Arts get its start? “Forty years ago potter Doug Brown setup his pottery studio in downtown Edom where he still creates and sells pottery. He encouraged other artists to build studios in town and many took his invitation. Throughout the years Edom has been home to a glass blower, wood workers, potters, jewelers, and leather crafters. Potter Brown started the Edom Art Fair, which ran annually for more than 20 years. The Edom Art Fair became known as the premier venue for artists and a popular event for the community, but after so may years of work, the resident Edom artists decided to stop hosting the Art Fair. Edom is located halfway between Dallas and Shreveport, 15 miles west of Tyler. Take exit 540 off Interstate 20 and drive 10 miles south to Edom. More information and driving directions are available on www.EdomFestivaloftheArts.com. The other day my husband, Charlie, went to all three auto parts stores here in the Gilmer area looking for a doomaflotchy for his gizmo. Please bare with me, I don’t know auto/motorcycle speak. He wasn’t making any headway because of the lines at the parts counter. He had gone to a couple of auto parts stores, but it seemed there were too many customers and the counter men were also having to wait on customers over the telephone. ETX- Attention, Sky Watchers! 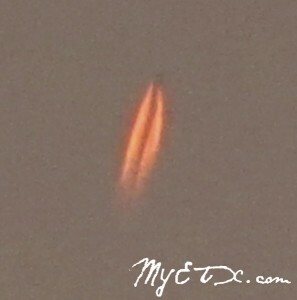 Pan-STARRS (C/2011 L4) has been spotted in the skies for the past few nights around twilight. The comet is visible by the naked eye as a distinct tail of gas and dust. Comets such as this one are rare, so step outside and make an effort to view it in the low western horizon just after sunset.